I know I am bit late with this new Quickspin slot game, it has been available for maybe a week now, but still wanted to review it. Mainly because I love Quickpin slot games. 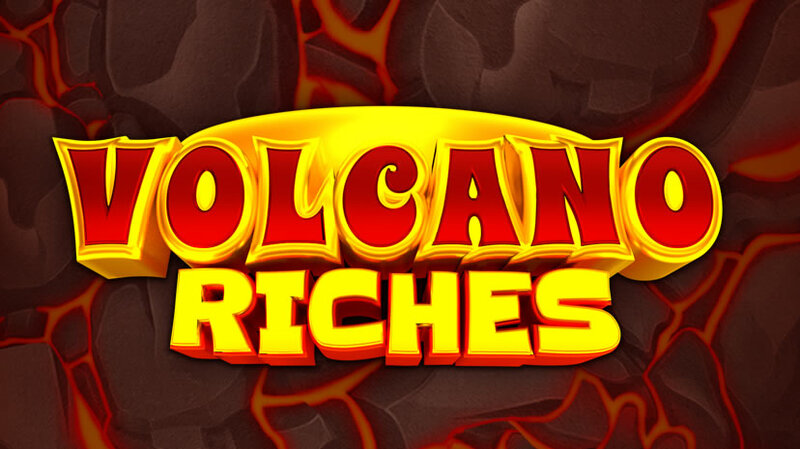 Volcano Riches is a 40 line slot game with a volcanic theme. The special wild symbol only appears on reel three during normal games and scatter symbols only appear on reels 2, 3 and 4. When the special wild symbol appears on reel 3 it will trigger the Volcano Wild Feature. The volcano will erupt and will add between 1 and 5 random wild symbols on adjacent reels. It can also give another volcano symbol which in turn will also erupt and give between 1 and 5 random wild symbols on adjacent reels. A total of 4 extra volcano symbols may appear during this bonus. If you get all three scatter symbols at the same time, you will trigger the free spins feature. During free spins the special wild symbols now appear on reels 2 and 4. And will trigger the Volcano Wild Feature the same as above. Now you can get a total of 8 extra volcano symbols. Also the slot game pays both ways during the free spins feature. You can’t win more free spins during the feature. Volcano Riches looks amazing and is a very fun game with interesting features. I really love this game and I am sure most players will. Try out Volcano Riches at any online casino offering Quickspin slot games, which a lot of NetEnt casinos do. You can also try it at Dunder Casino and pick up 20 no deposit free spins when you sign up.